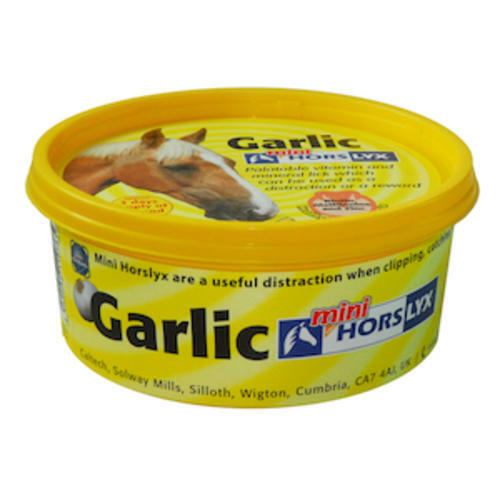 Horslyx Mini Licks Garlic for Horses is the perfect choice for owners who want to reward or bribe their horse or pony with a nutritious alternative to sugary treats. Unique and highly palatable offering a three day supply of vitamins and minerals they are also ideal to use as a distraction when clipping catching loading and during vet and farrier visits. They are a useful tool for stretching exercises or can simply be used as a treat or reward.